Bed And Breakfast645 sq. ft.
Quiet and away from traffic. Near the fast roads that allow you to quickly reach the lakes and cities of Lombardy. Bus service n ° 8 to 200 meters, and to Bergamo Orio al Serio GBY. The train station of Ponte San Pietro is a 15-minute walk, convenient and frequent connections with Milan, Lecco, Monza. The bright and spacious rooms are equipped with ceiling fans. The breakfast of fresh handmade products, change of linen and cleaning are always included in the price. Children under 3 stay free. Fantastic welcome and a quiet neighborhood. Clean, well equiped and greatly taken care of. Cinzia was wonderful, welcoming and made sure we had all we needed. Breakfast was delivered at the door every morning with a nice Buonjorno note. She speaks French so much better than our Italian. That was also very helpful. She also helped us with suggestions for site seeing. A car is needed if you want to stay here. 6km from Bergamo. Supermarket less than 2km away. We really enjoyed our stay. Thanks so much! a warm greeting to the whole family. Beautifully clean and very thoughtfully equipped apartment in a pleasant residential area. Breakfasts were fresh, plentiful, tasty and varied. Very convenient for Bergamot and beyond with some great places to eat recommended by a friendly and very helpful host. thank you so much, It was a pleasure to know you ! The owner is absolutely amazing! The apartment was clean, spacious and very nice. The breakfasts were scrumptious! Signora Fradusco is the best hostess! She and her son provided us with lots of information about the area, they printed train and bus schedules for us and she even drove us into Bergamo on our first day there. My family and I will definitely be returning and we recommend this property to anyone visiting the area. "We spent five wonderful days at the apartment. Very quite calm place. Everything was nice, Mozzo (Bergamo) is a beautiful town. 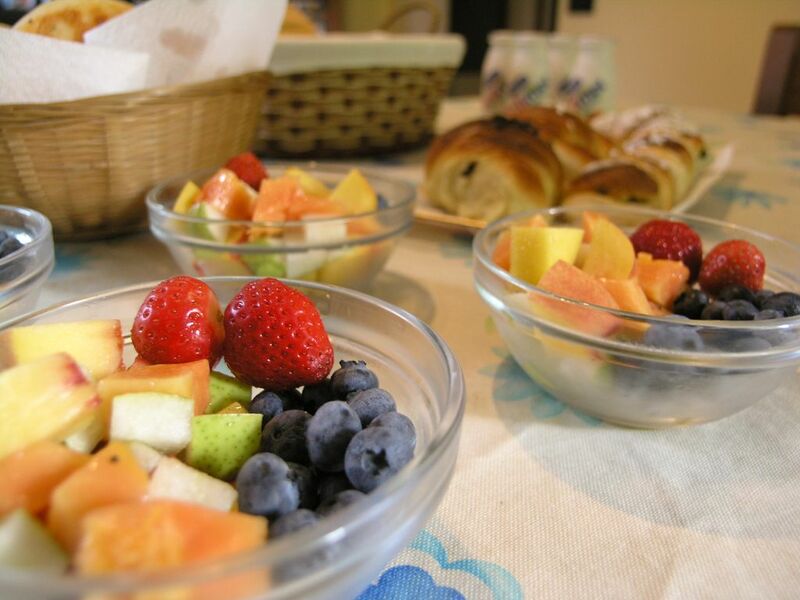 Cinzia took care of us and provided a delicious breakfast and other products." "Very nice, clean and well cared. Very friendly and breakfast was brilliant"
"Very nice place to stay ! Close to Bergamo by car or Public Transportation(bus). The apartment of two bedrooms , living room , kitchen and wc with shower, is very well equipped! There is also wifi internet connection. The owner Mrs Cinzia,is very very helpful, ready to give you any information you will need for your stay. She speaks Italian, French, some English but her son speaks English well so he can help you if there is problem ! She also has three adorable pets (one dog and two cats) ! We recommend this place ! With NO hesitation we would stay again in this place if we visit Bergamo again. We all would like to thank the owner for everything !!!"